This is an excerpt from my “Kona 2018 Rating Report“. You can download your copy here. This season an early validation race in Cozumel allowed Sebi to race Challenge Roth. His win included an overall PR on a legitimate course with a swim PR and his best combined bike-run split, showing that he continues to improve as a triathlete. There aren’t many athletes that can match him on the bike, and they’ll also have to be prepared for a sub-2:45 marathon in order to keep Sebi from reclaiming the Kona title. Thorsten: What’s your view on your Kona result from last year? Sebastian: With the good results there were expectations for the race – and that was certainly not to finish fourth. There are always things you can’t influence, but after the bike I was in exactly the position I wanted to be. Therefore I was disappointed when I wasn’t able to make the “last step”. T: Looking at the run times, it looks as if none of the fast bike riders had a good marathon. Have you changed anything in your training for this year? S: I don’t think that Lionel had a bad run. But when you’re riding alone or in a small group, putting up a fast time requires extra energy compared to the big bike group. One of the hardest things is to find the right balance between attacking on the bike and saving energy for the run. This year I would have liked to put in more run training, but I’m limited by my achilles problems. Still, I think I’ll be in a better position for the second half of the marathon. And as every year we’re trying to further close the gap after the swim. I’m happy with my early season form, even if I would have like to have won in St. George and Samorin. T: How do the other athletes in the field change your race plan for Kona? S: There are even more variables in this year’s race. My own goal is to be in a position after the swim to have a few more tactical options, the base goal is to be ahead of Lionel and Cam Wurf in T1. I don’t have a problem if the race is quick from the start and there isn’t a big group that Patrick or Gomez can “hide” in. Last year Lionel, Wurf and I didn’t ride in the big group for long anyways – we caught the group so late (around 90k) that we didn’t have much time left to make a difference. 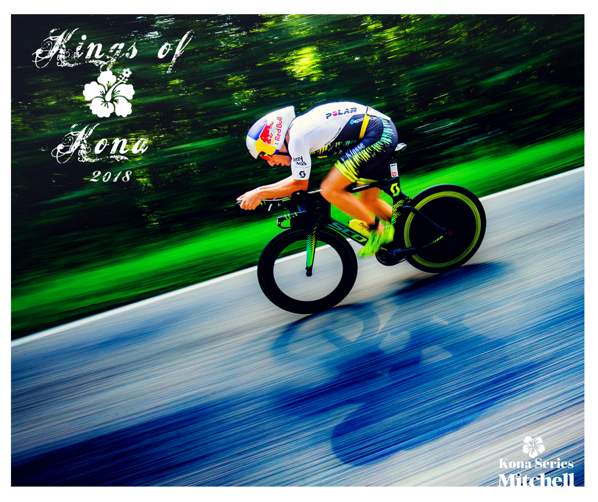 ”The best Kona field ever” – we hear that every year, it might finally be true this year. Currie, Gomez, Hoffman, Nilsson .. none of them would be a huge surprise on the podium or even for the win.